Turns out that I miss recording and re-recording and re-re-recording bits of Old English every morning. So I am back to posting daily podcasts of Old English at Anglo-Saxon Aloud. I had originally planned on starting with the Anglo-Saxon Chronicle, and I'm sure I will eventually do that text, but I ended up deciding to go with the Homilies of Wulfstan. I am going to work through these in order, using Dorothy Bethurum's edition. I've been finishing up my revised edition of Tolkien's Beowulf and the Critics and have cleaning up the section where I identify of all the "voices" in Tolkien's "Babel of Voices," where he presents the history of Beowulf criticism. In doing all the necessary but tedious i-dotting and t-crossing, I've found Google Books to be remarkably helpful for nineteenth-century Beowulf scholarship. They have full text of a lot of important but hard-to-find books (hard to find because Interlibrary Loan isn't often willing to send books published in 1840), and the interface and mark-up is much better than I remember it being. I'm still not a fan of Google Scholar, which seems incredibly random in its selection of material, but Google Books seems to be not only a copyright grab but also a useful resource. 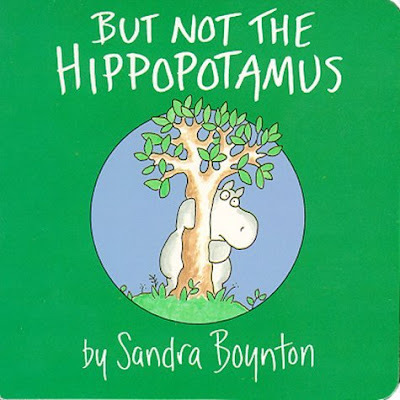 Earlier this year I announced the blockbuster news that Hippos Go Berserk by Sandra Boynton was likely a forgery by a later author who was attempting to imitate Boynton the Great. I can now show that the forger of Hippos Go Berserk, or Pseudo-Boynton, was at work elsewhere as well. do a dance in a bog. This variation, "cavort" for "do a dance" is an editorial hyper-correction, probably based on an attempt to force Boynton the Great's artistically flawless meter into a straightjacket of perfect regularity. These two parallels, "are TRYing" and "toGETHer" are amphibrachs, also three-syllable feet. So there is no need to assume that the iamb in the fourth stanza needs to be followed slavishly by forcing a two-syllable foot ("cavort") into the first stanza. From this analysis of the forgery, we can conclude that Pseudo-Boynton is a highly trained scholar, but one for whom Boynton's brilliant verse is not a native idiom. We can also note that as well as lacking Boynton the Great's attention to detail (in that Pseudo-Boynton forgets to deal with the six distressed hippos who have never left in his/her version of Hippos Go Berserk), Pseudo-Boynton has a predilection for hippos. 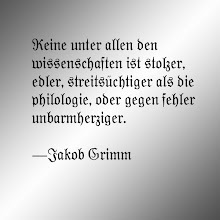 Scholars should thus re-examine the Boynton corpus to determine which other texts may have been interfered with by Pseudo-Boynton, looking for editorial hypercorrection, subtle contradictions, and hippos. And the "Cavort" Recension of But Not the Hippopotamus must be athetized from the corpus. I am in the Thor, The Lord of the Rings and Beowulf episodes. I'm hoping that they did what they said they would do in the Thor episode, and that my narration of "Thor and Hymir Go Fishing" includes a cgi Thor fighting a cgi Midgard Serpent. Before those three things happened I was already scheduled to the hilt, but I would have made all the deadlines, etc. Once number 1 hit, I pretty much had to run as fast as I could to stay in place. So having finally worked out from under most of my administrative responsibilities (annual reviews, etc. ), in the past couple weeks I was able to turn my attention to real work, and it's amazing what you can get accomplished when you have a break from 40-75 emails per day, paperwork and meetings (Oh, how I hate meetings). Do revisions and complete proofing of the course book for the latest course from Recorded Books, The Anglo-Saxon World, which should be out very soon. Finish identifying all of the "voices" in Tolkien's "Babel of Voices" in "Beowulf: The Monsters and the Critics." Write the first large article to come out of our lexomics research: "Lexomic Methods for Analyzing Relationships Among Old English Poems." (it still needs some revisions, but I think we will ship it off to a journal at the end of next week). Although a couple of those things were "finish," that was a lot of work to get done in a little more than two weeks when I also wrote three annual evaluations. But it as basically easy, because my time wasn't being fragmented by useless meetings and incessant email. Think of how productive we could be if we could find ways to skip all that crap. Thus you should not expect to see me writing reports or going to meetings. I am now on a crap-skipping crusade.